Genesis has been dropping teasers like crazy on Facebook and Instagram, giving us locations and cryptic messages of something coming later today. Specifically, the automaker will hold a livestream debut starting at 6:57 PM Eastern time, and you can watch it right here. As for what it is, we know it's an electric concept vehicle but details are still unknown. 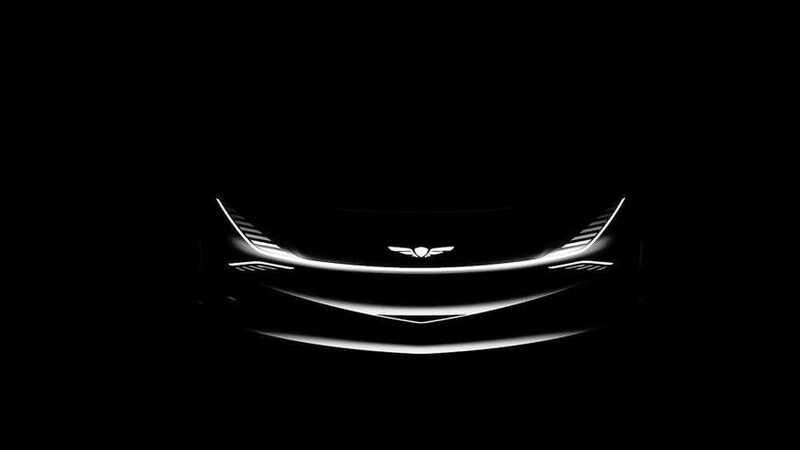 On Instagram at least, the luxury automaker offered some silhouettes of what appears to be a hatchback, or more likely given the current automotive climate, some kind of small crossover. A few weeks back we learned straight from an executive at Hyundai that the luxury branch of the South Korean automaker was bringing a new electric concept to New York. Rumors were that it could be a more down-to-earth version of the Essentia, a rather stunning concept that debuted last year at the New York Auto Show. Later in the year we learned that it was destined for production but only in very limited numbers. Should Genesis seek to carve a spot in the expanding luxury EV segment, it will need something a bit more mainstream and a small electric crossover could fit the bill nicely. Based on the Instagram posts we are struggling to see any of the Essentia’s suave lines in this concept, but it’s quite possible the whole Essentia connection is just a red herring. The only other hint we have at this point is a Facebook post from Genesis (above), posted earlier today about copper being the new black. We aren’t sure if that’s a reference to electric motors or the chosen location for the reveal, but in any case, we won’t have long to wait. The livestream event is slated to begin at 6:57 PM Eastern / 3:57 PM Pacific time, and you can watch it all right here.